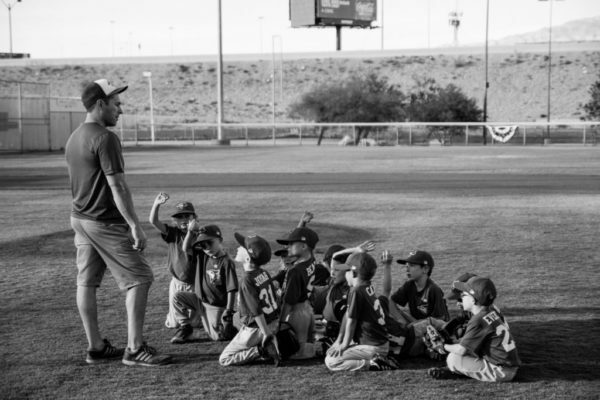 Starting a new baseball or softball club may be no small feat, but you need not worry... You are not alone. The right to vote on formal PZBall issues. The Polish regulations on sports do not indicate clearly which type of legal organization can become a sports club. The founding members of the sports club can thus decide themselves which form their organization will take. capitalized companies, i.e. limited liability companies registered in the National Court Register (KRS), or joint-stock companies (these entities are enterprises conducting business activity; many first-division soccer clubs operate under this legal form). An association requires an entry in the KRS, but this is not a requirement if the organization is a sports club. Sports clubs that would like to have the legal rights and the status of an association, but which do not plan to conduct economic activity, are subject to a simplified registration process (registered only at the Starosta, and not at the National Court Register). All of the formal forms of organizations noted above allow for membership in PZBall. The founders must be adults. Members of the club can be adults, young people aged 16-18 based on their own application, and young people less than 16 years of age (with the consent of their parents). f) Proof of payment of stamp duty. 3. The application is submitted by the Founding Committee to the appropriate administrative authority, i.e., the city or 'gmina' office. 4. The club obtains the formal legal status at the moment of registration and, from that moment, is represented by its Management Board according to the rules set out in the Statutes. 5. The next step will be to register at the Central Statistical Office (GUS) in order to obtain a REGON number, and at the Tax Office, to obtain a NIP (tax identification) number. 6. The organization can then set up a bank account. 7. It is also worth thinking about making a stamp for the club, which may be useful when signing documents. Other important elements include a club or team logo, e-mail address, and website, all helpful in enabling the identification and branding of the club. 8. The founders of the club must remember to routinely regulate the tax issues for the organization. Therefore, it could be helpful to employ an experienced person (or seek a volunteer) who will handle the organization's accounting. Every year, the Management Board must submit operational and financial summaries. A good practice is to remember to have a receipt or invoice for any amount spent from club finances. When setting up a club, it's worth finding out about the possibilities of getting help from the relevant institutions (Ministry of Sport, local governments, foundations). Many of them can offer financial and other support, e.g., for winter training or co-financing of specific projects. According to the Regulations on Sport, each club is obliged to insure its players (Insurance against 'Unfortunate Accidents'). The best way to obtain detailed information on this issue is direct contact with an insurance agent. To participate in leagues and official tournaments, the club must become a member of PZBall. The good news is that this process is not difficult if you have completed all the above steps. It is also not expensive. The current membership fees amount to only PLN 300 per year, and the fee does not apply for the first year the club registers for membership. To register your club in PZBall please contact with our Office Director (click here). You will have to submit a copy of your organization's Statutes, a formal letter of request to become a PZBall member, and a list of your organization's Board Members. Upon receipt and confirmation your organization has provided complete information, the Board must pass a resolution that will add your club to the PZBall roster. The process usually takes 1-2 weeks. You will also have to provide PZBall contact information so that we can include your club in our published list (click here). If you have any additional questions, the answers to which you cannot find here, please use this tool (click here) to contact us. We will reply to your question directly, and we also update this web page to include all helpful information. Each team participating in PZBall leagues or tournaments must have a licensed trainer. Coaching licenses are issued by PZBall based on the application and submission of the required certification. The certification can be obtained in many ways, including coaches clinics outside of Poland. However, the most typical way is to participate in a coaching clinic organized by PZBall, which takes place once or twice a year and is usually advertised on our website and via a message sent to clubs. All necessary information about the participation of players in individual leagues and tournaments can be found on the subpage REGULATIONS (click here). Initial registration usually takes place in November. It does not involve any obligation, and the club can cancel at any time before the final deadline. However, if the team does not express initial interest, it cannot register later. In mid-January, teams must make the final decision about their participation. Up to this date, they can resign without incurring any penalties or consequences. After this date, there will be penalties for resignation. In terms of tournaments, there is also a requirement to pay a deposit 60 days before the tournament start. Failure to pay the deposit will automatically disqualify the team from participating in that tournament. Forms necessary for registration in leagues and tournaments are sent to the clubs in advance.